I paint animals to be more beautiful and full of life than photographs. My name is Imi – welcome to my blog. I wish I had a pet for you to paint! Your work is beautiful. Thank you 🙂 I am glad to have a new fan! Heartfelt thanks for liking my post at Free Little Words. Your paintings are amazing. Thanks for finding me so I could discover your blog. I really enjoyed reading it and completely agree with feeling like you have pen friends all over the world! Hope to get to know you a bit better from reading more! Decided to visit your page and I’m rather impress. Keep it up!!! Hi Imi! Thanks for stopping by my blog 🙂 I love your paintings, they are so cheerful. Really lovely work. 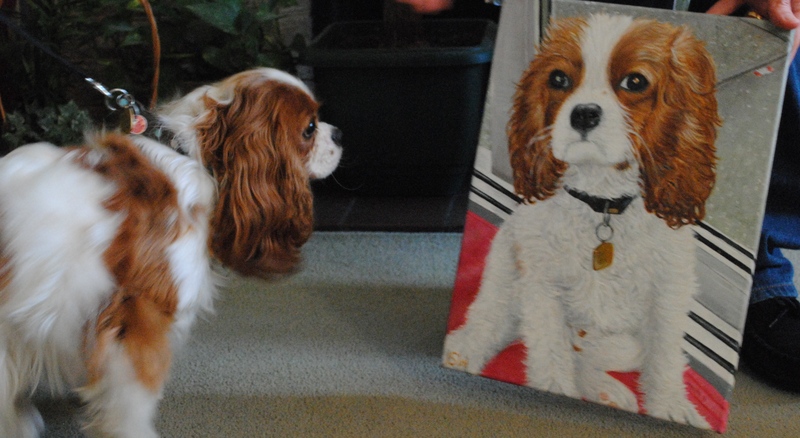 Maybe I’ll post the painting I did of Bailey later! Ah that’s so kind, cheerful really is the perfect word to describe my art! Id love to see your painting, please do post it! Could you paint animals that don’t exist in real life? Intriguing. I could create an animal from parts of other animals. Fabricating one entirely? I am not sure! Your work is really wonderful! Thank you for visiting me today, Imi! I love to read blogs by likeminded people who like animals as much as I do! Ha ha, great reaction thank you! Thank you very much 🙂 I love your photography too!